This was a really cute story, and I loved the positive friendship between Cups and Goob. Also, this story really left me craving banana puff cupcakes, and I don't even really know what they entail. They just sound really good. 1. 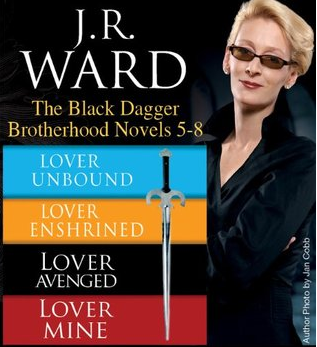 The previous book or two teases some romantic feelings between Vishous and Butch, and I thought, hey, this could be really interesting here, something different from the usual bodice-ripping hetero romance novel pairings. Here is an opportunity to cover something that has historically not been covered in this genre. But no, his true love is still a woman. 2. The way he, uh, acquires said woman is by kidnapping her. She's a doctor, and she operates on him, and when the Brothers show up to bust him out, they take her as well, at his request. He doesn't hurt her or anything, but still... HE KIDNAPS HER. She is even FULLY self-aware with regards to Stockholm Syndrome and yet, their relationship still happens, because he's such an irresistible piece of mancake with a sensitive soul or whatever. Not that his story isn't interesting, but seriously... I just give up. Since the main character of the next book is not remotely interesting to me, I'm going to stop here. I was SUPER excited about this book, because I am a huge Lizzie Bennet Diaries fan, and I've been bereft ever since the series ended. There's always fanfic, of course, but nothing is more exciting then getting a new CANON part of the story. I'm not going to go into summarizing the series, beyond "vlog-style Youtube adaptation of Pride and Prejudice that is full of awesome," since you can actually read about (and watch!) the series yourself. The book is a novelization (novel companion?) to the series, and provides some background details that weren't included in the series because it wouldn't have made sense for Lizzie (or the other characters) to reveal that information on the Internet for strangers. For example, remember when Lydia said "I've got stuff on Charlotte" when she took over Lizzie's video the first time? Yeah, you'll get to find out what that is, as well as other things even more surprising. I loved the extra details I got, and I think they could've worked in more. I feel a little cheated that for two of the biggest moments in the story - Darcy's first "proposal" (episode 60) and the moment they finally get together (episode 98) - we just get transcripts of the episodes. Um, thanks? I can watch those for myself. I don't get why Lizzie wouldn't have talked more about what she was thinking during and after those videos. Or even during the cuts! And there were some things that were skipped entirely (like adorable episode 83 with Darcy totally making her laugh.) There are also some things that didn't line up with official canon of the videos as well as the transmedia, so that bothered me a little bit. But overall, I'm happy about the existence of this book - it gave me something new to squeal over. 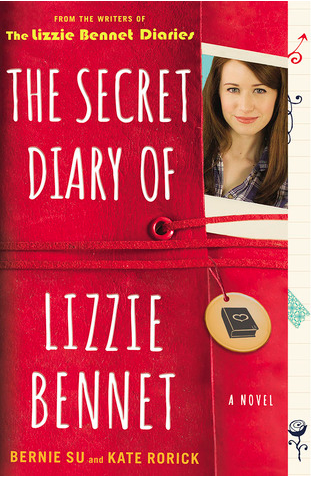 I would very much like a Secret Diary from all the other characters now. K. Thanks. 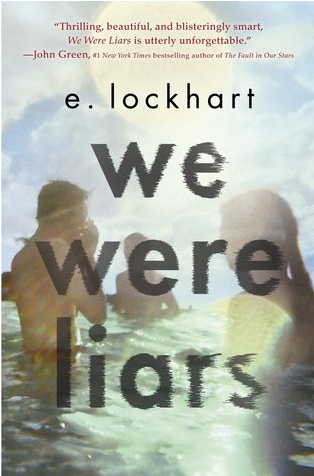 There was a lot of fuss being made over the recently released We Were Liars, so I definitely had to pick it up, since the other book I've read from E. Lockhart (The Disreputable History of Frankie Landau-Banks) was utterly wonderful. Liars is totally different though - also utterly wonderful, but not at all light-hearted and fun like Frankie. 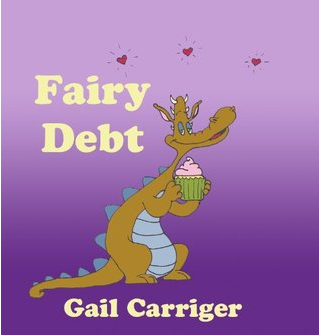 I could tell by the very first chapter that I was diving into a story with a much heavier tone. I will give away no details of the plot, since the ending is a major spoiler, but I will say that Liars is like a cross between Fight Club (thanks, Josie, for that comparison!) and King Lear, made into YAF. I read it all in one sitting, because I HAD to know what was going on, and once I found out, I was crying into a pillow. That is all I will say about that. It's an amazing book, if you can handle the disjointed narrative style. My tip is to pay attention to her verb tenses in order to keep track of chronology. So yeah, that's it... right now I am working on the first Harry Potter book and Sense and Sensibility, and this week is the new short story collection from Veronica Roth about Four (from Divergent) and Rainbow Rowell's new book.